Mr Adam Sawyer is a Consultant Plastic, Reconstructive, Aesthetic and Laser Surgery Surgeon at New Hall Hospital in Salisbury who specialises in aesthetic surgery of the face, breast and body. 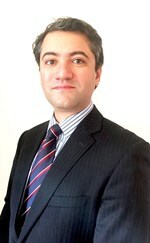 Mr A Elmorsy is a Consultant Orthopaedic Shoulder Surgeon at New Hall Hospital, in Salisbury, Wiltshire. He specialises in all types of shoulder surgery. Mrs Freeman is a Consultant Podiatric Surgeon at New Hall Hospital who specialises in corrective foot surgery, including bunion correction,as well as management of soft tissue problems such as Morton's neuroma and plantar fasciitis. 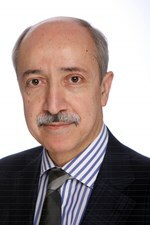 Dr Haider Katifi is a Consultant Neurologist at New Hall Hospital, Salisbury who sees general neurological disorders including headaches and epilepsy and spinal disorders and peripheral nerve diseases. Dr Serap Mellor is a Consultant Dermatologist seeing private patients at New Hall Hospital. Mr Naeem Haq is a UK and Fellowship trained Consultant Ophthalmic Surgeon with special interests in Lid, Lacrimal and Orbital surgery. 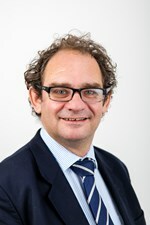 Mr Andrew Hilton, Consultant Spinal Surgeon, New Hall Hospital, Salisbury. Specialises in diagnosis of all spinal conditions: sciatica, stenosis, back pain fractures, minimally invasive treatments including spinal decompression, microdiscectomy, spinal fusion, kyphoplasty, guided spinal injections.